I, unfortunately, have never been one to live in the moment – I’m convinced it’s a genetic thing. My Grandma Julie is often quoted as saying on memorial day: “next thing you know it will be labor day.” And here it is – mid August, in my mind that means the summer is already over. 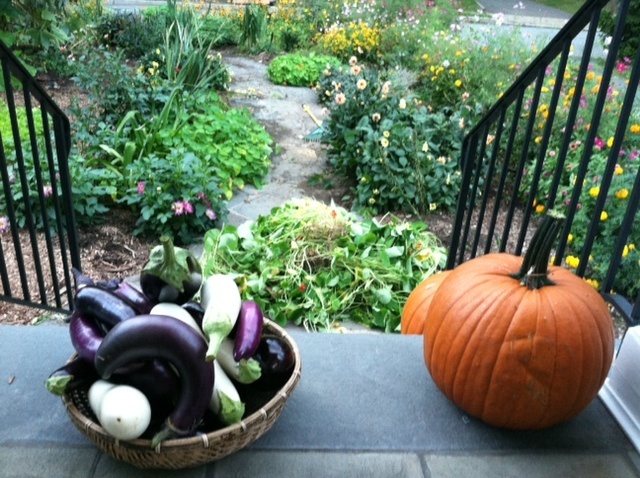 One of my favorite things about summer is all the fresh produce – especially the produce in my very own garden. There is something truly amazing and beautiful about walking out of your door to pick corn, tomatoes, or lettuce right out of your back yard. And this is fortunately not something that has to end with the summer – even in NY! And if you don’t have your own garden, or don’t have room for you own garden, there is always your local farmers markets! I agree, i am in UK where the climate is similar to NY and i grow lots of vegetables through fall and winter.